Your vehicle is always welcome for expert auto service here! Toyota drivers in Alamogordo, NM and beyond choose the Service Department at Desert Sun Toyota for all of their Toyota auto service needs. Our modern service center is staffed with Toyota-certified service technicians who utilize the latest tools, equipment, and genuine OEM Toyota and Toyota-approved auto parts to repair and maintain Toyota vehicles. Whether it is time for regularly scheduled maintenance for your RAV4, Corolla, or Camry, your Prius hybrid needs its Hybrid Synergy Drive system checked, or warranty work on your Sienna or Highlander needs to be performed, the Service Department at Desert Sun Toyota is up to the task. We regularly perform warranty work and honor all Toyota factory warranties, including ToyotaCare and warranties for Toyota Certified Used Vehicles. We work on all makes and models, so even if you don’t drive a Toyota, your vehicle is always welcome for expert auto service here at the Desert Sun Toyota Service Center! To schedule a service appointment today, call our helpful service advisors to (575) 268-2376 or submit our schedule service form here on our website. If you choose to wait at our Service Department for your vehicle to return from service, you can enjoy complimentary refreshments and free Wifi in our modern customer lounge. 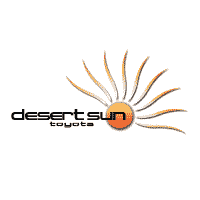 Visit the Service Department at Desert Sun Toyota today for prompt and thorough Toyota auto service at low prices! Give us a call to (575) 268-2376 for more information!